22 Poems About Love. I Love You Poems. 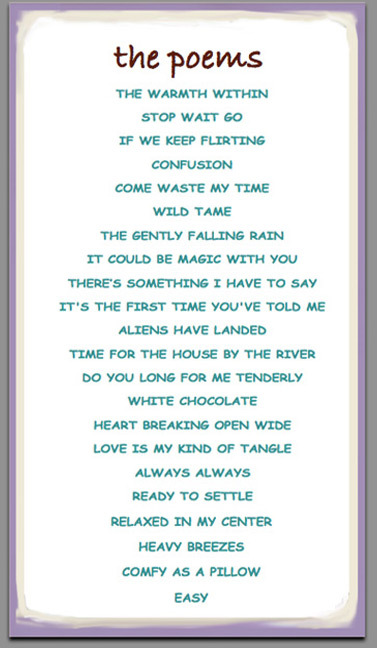 Love of My Life Poems. 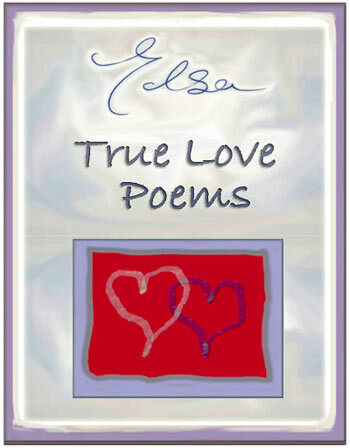 True Love Poems for Him, for Her, for You. if we keep flirting. confusion. come waste my time. wild tame. 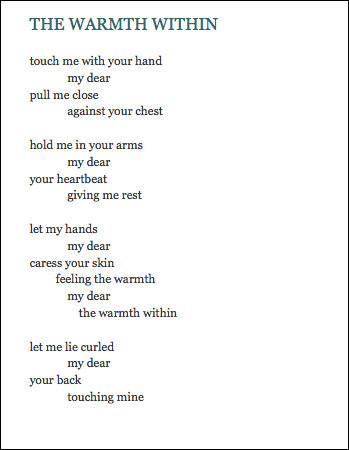 Love of My Life Poems. To give a love poem is say, I love you. To read them is to stir our emotions. Love ... It's not all one thing. There's that feeling of confusion. Sometimes we're sure it's always always. Everything feels comfy as a pillow. we feel we're taking a gamble. a collection of 22 love poems. To give and feel more love.